The “Sunday Word” is a periodic publication printed in our parish every Sunday. There are liturgical readings from the actual day, some catechesis and announcments. It is written in the russian language as “Воскресное Слово”, since there is not a “Sunday Missal” available in that language. 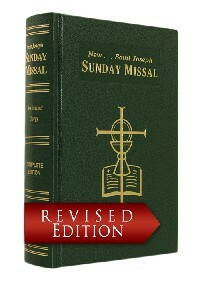 The English speaking people have the Sunday Missal where all prayers, readings and needed texts are provided. The liturgical readings as well as the liturgy of hours are online available on more places and also on this site in the right panel.